How do you provide quality customer service when you’re faced with a bad attitude? Successful businesses don’t just sell products. Today, quality customer service may be what differentiates a company from its rivals. Businesses with poor customer service risk losing revenues, profits and even going out of business. But retail pros know that they’re going to be dealing with angry customers, the very customers who make offering high-quality service difficult. 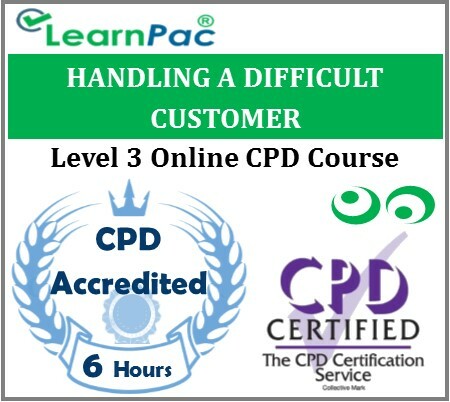 This online course helps you to understand different types of angry customers and how to deal with them as a customer service representative.